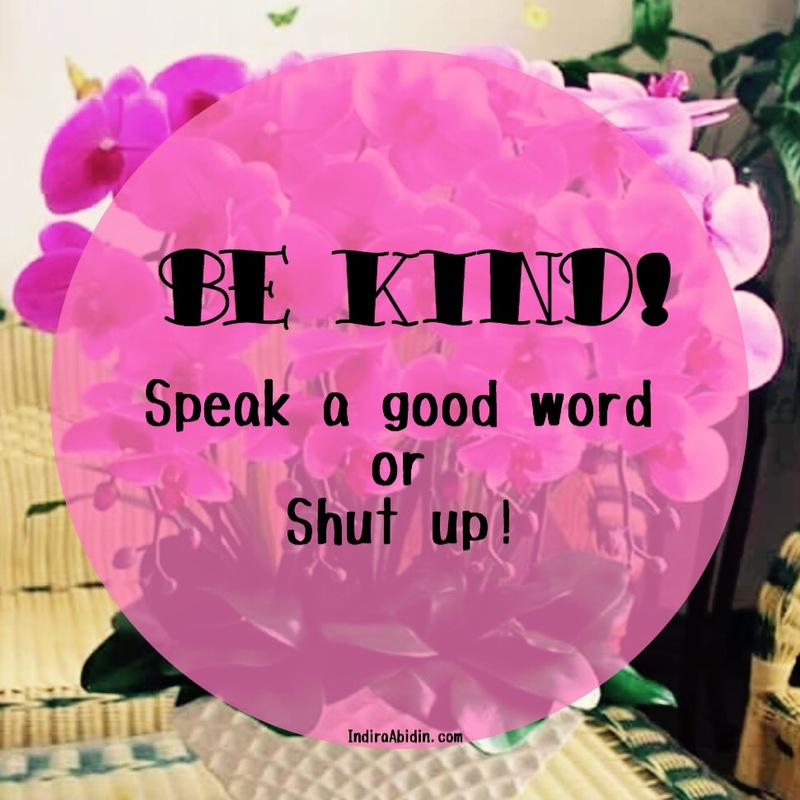 Be kind and say only good words. Be happy, no matter what people say. “Somewhere there is a woman: 30, no children. People ask her, “Still no kids?” Her response varies from day to day, but it usually includes forced smiles and restraint.“Nope, not yet,” she says with a chuckle, muffling her frustration. Respect others. Be kind, say something that won’t hurt or shut up. Sometime silence is better than words. Understand that we can’t control what other people say or do. Understand that there are a lot of unkind people.